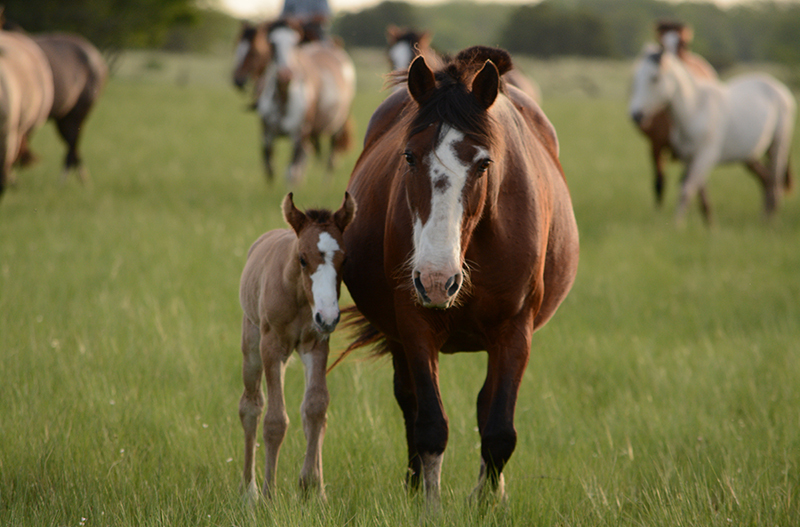 Horses are considered Foals for their first year of life. If you have a mare that’s almost due, it may be time to read Petplan’s 5 foal facts. Foals are very often born in the night. This is thought to be a result of a Horse’s instinct to protect the foal from predators. Foals will start on milk called colostrum immediately, and will drink about a quart of it. This will help to boost their immune system. By just 10 days, foals will also be eating grass and hay to receive the nutrition they need to grow. A foal’s legs are around 80-90% the length of what they will be when fully grown into adulthood. So this may explain the clumsiness! It will also take a few days for a foal’s legs to straighten up. Foals bond with the mare almost instantly, through a way of communicating that humans cannot see. Although foals will have a few years ahead of them before you can start to ride them, this doesn’t mean that the training cannot start. Foals can be taught many things which will set them in good pace for riding. « Why is my Cat Knocking Everything Over?